While many people immediately associate it with figurines and toilets, porcelain can be found in other places around the home, as well. On shower walls, countertops, or anywhere you like, porcelain tile can really show other tile who’s boss—and look good doing it. Porcelain tile is a type of ceramic tile, though it is made from finer, denser clay and is fired at higher temperatures. Additionally, porcelain tile is tougher, more scratch resistant than other varieties, and more durable and resistant to stains. Porcelain tile can be used anywhere you want an excellent performing, good-looking surface. 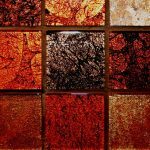 It works great in kitchens as countertops or wall coverings and is also a good choice for showers and bathroom walls. Where it really shines, however, is in flooring. 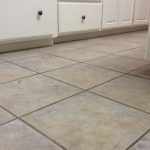 Porcelain floor tile looks great when it is put down and will look good for years to come with very little maintenance. In high traffic areas, porcelain floor tile is an excellent choice and will out perform other tiles in both long-term appearance and durability. 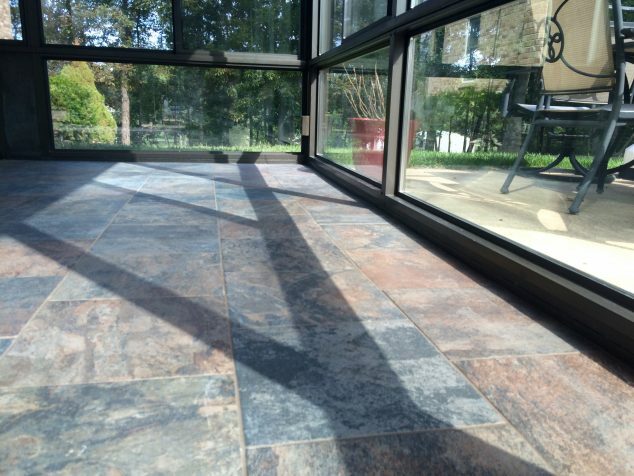 Some porcelain floor tile is made to look like stone, and while it might hold up just as well, it will cost less. 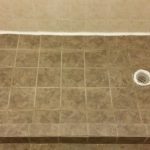 Cleaning porcelain tile is a breeze. Its surface absorbs very little moisture, so spills that might seep into another material and cause a stain can easily be wiped up with a damp cloth. To maintain it, porcelain generally only needs to be cleaned with water or a mild detergent. It is the perfect material for those who want good looks with very little effort. Repairs typically aren’t very expensive either. Since the clay it is made from is so dense and the firing process so hot, porcelain tile ends up being not just hard but harder than granite. The color of porcelain tile is not just on the surface but runs down through the tile. This means that the color will stay the same as it wears down (which, in itself, will take a long time). Porcelain tile is considered a quality building material and is, therefore, a selling point. Putting it in a home will not only be a good choice for those who live there but will increase the value of the property, too. Though it truly is a great material, it is pricier than other types of tile. 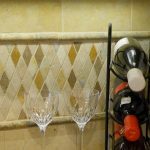 It is as easy to install as other kinds of tile, but any tile installation will be somewhat time-consuming. 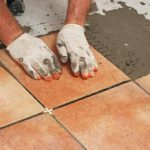 Porcelain tile itself is very easy to clean, but where you have such tile, you will also have grout, which is notoriously difficult to keep pristine. Anyone looking to install any kind of tile should make sure that whoever puts it in seals the grout well. 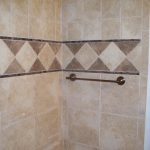 No matter how nice the tile looks, ugly, stained grout can ruin the effect. Porcelain vs. 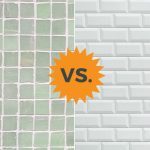 Ceramic Tile: Which is Better? 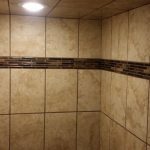 I had porcelain tile put throughout my home 7 years ago. All I can say is I do positively love it. So easy to care for. Never looks bad, all you need to clean it with is either water or mild detergent. That’s it….Simple! Lovely! I used a n 18 X 18 porcelain tile on a high traffic floor with epoxy grout. Epoxy grout VERY hard to work with but just wont stain and is stronger than other grout. Can someone please tell me the price difference between laying porcelain tiles and ceramic tiles. Also is there a big difference in the perp work for each? Thank you in advance your responses are appreciated. i am the president of a 65 yr old second generation tile company called Del-val tile in Langhorne , pa . Many years ago before porcelain was popular, it was only necessary to use it in higher traffic areas such as restaurants, office buildings etc. BACK THEN IT WAS PRICY. Today because of the high demand of more people chosing to use this product the prices are basically the same for ceramic or porcelain. SINCE PORCELAIN IS STRONGER AND DEPICTS THE AMOUNT OF TRAFFIC AN AREA HAS IT IS NOT NECESSARY TO USE PORCELAIN ON YOUR WALLS. BE SURE TO CHECK OUT OUR 15,000 SF LOCATION AT 1223 W LINCOLN HWY LANGHORNE PA OR CALL 215-757-1834 FOR THE CHANCE TO VISIT OUR MUSEUM OF TILE. I had 24″ x 24″ tiles laid down in my living/dining area which is 12′ x 30′ long and it looks great. Everyone told me not to use such a big tile but I did it my way and now everyone says it looks great and make the room look wider and longer (had carpet down before). It looks like real stone with fine lines running through it people thought it was a real crack in my floor at first. It resemble real stone. Feels great with bare feet..smooth. I have four chihuahuas and I can see the messes easily when they have an accident and it cleans up well. 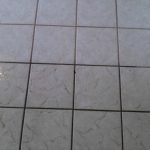 Having a larger tile makes cleanup easier and doesn’t go into the grout as easily. LOVE my porcelain tiles!!!! Put the same tile throughout the entire house I liked it so much! Can be slippery if your feet is wet if you don’t watch how you walk…slowly. It is my 1st time with Porcelain tiles. I agree with Donna, it feels GREAT with bare feet. I also have 2 dogs and a cat who stays 50% of a day IN the house, I can easily see hair or any other dirt, because my tiles are WHITE. Cleaning up is a piece of cake. Other people also said “O NO NOT PORCELAIN”, but now that its in, those same people give me complements all the way. Porcelain tiles is my future. Me and my husband are in an argument regarding which tile to install in the house. I have never seen a house with porcelain tile before. I’m in the favor or marble. And he’s loving the tile he saw… All I’m scared about is the final look. Will the grouting get dirty with ever mop!? Will the grouting be too obvious? We are about to start a bathroom reno and are considering porcelain tile flooring. Unfortunately we are unable to install radiant heat. Is the floor much too cold without it being heated? We live in an area that sometimes gets snow, so it can get pretty cold in winter.